Primer for my make up has been an essential part of my routine for as long as I can remember, but something I have never considered for my hair. Until now. 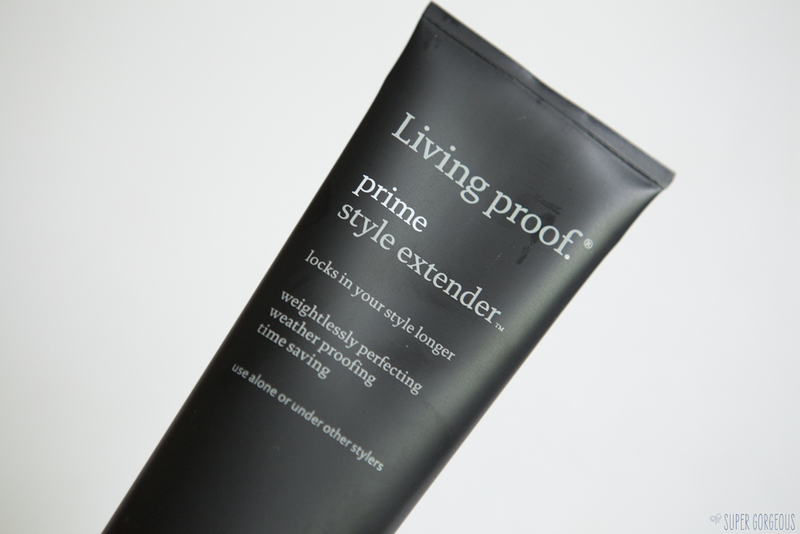 Living Proof Prime is the first primer for hair, designed to extend your style. I gave it a true test this weekend - camping at V Festival from Friday until today - and slathered it onto my damp hair after I'd washed it on Friday. It doesn't have any stickiness to it and smells citrusey and fresh. Once I'd dried and straightened my hair it didn't look or feel any different to normal, but over the course of the weekend is where the magic happened. I really was at one with the elements over the weekend - with rain and wind to contend with, not to mention sleeping in a tent. After the first night of camping my hair was no longer straight, which I had hoped the Primer would have helped with - but I think this is due to me sleeping on it while it was curled up under my head, so it being straight when I woke would have been some kind of a miracle. It was still definitely able to be worn down, with just a slight bit of movement in it - which never normally would be the case, and, despite being rained on, drizzled on, and blown about all over the show by the wind, it was still showing no signs of frizziness, which again, is something I've never experienced before with my hair. I had packed in my belongings a giant can of dry shampoo, always a festival staple of mine, but I didn't need to reach for it once. Even by this morning - three days after washing, my hair still looks clean and fresh and if I had chosen to, I think I could have got away with not washing it on my return. The back of the tube says that 'Prime extends any style 2 x longer. Formulated with our advanced priming system containing OFPMA to create an exquisitely thin, weightless shield to perfect and smooth strands and repel dirt and oil. Worn alone or layered under your favourite styler, save time and forget the touch ups.' - and it has done everything it's promised. Sounds great. Think I need that! OOg I got a sample of this in a goodie bag a few months ago so I'm definitely going to pull it out and give it a go, I have a serious fizz situation especially in the rain.